Light & Motion products are covered against defects in workmanship and materials under normal use and service for 2 years from the date of purchase. Warranty is non-transferable and does not cover failures from misuse. We will repair or replace, at our discretion, any product that is found to be defective under our warranty policy. Proof of purchase required for warranty claims. Batteries performance is warrantied for 90 days. This includes all battery integrated lights and external battery packs. Cosmetic discoloration from wear and use is not covered. Light & Motion is not liable for any loss, damages, or expenses including incidental or consequential damages directly or indirectly arising from the sale or use of this product. Rental programs carry a 90 day warranty (Stella products extended to 1 Year for rental programs). All Light & Motion lights are tested and certified in accordance with the ANSI/NEMA FL-1 Standard. Batteries carry a 90 day warranty from date of purchase to perform within 10% of published specifications. 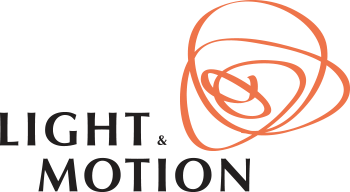 Light & Motion is an industry leader with complete transparency of light specifications and test results confirming published data is hosted on wetestlights.com for each light we sell. Please note battery performance can be affected by charging habits, temperature, and other external variables. Visit support.lightandmotion.com for helpful tips on battery maintenance and properly caring for your light. If you find your light is defective under our warranty policy, you can open a support ticket here. We will also repair any lights outside of the explicit warranty period for a nominal fee if replacement parts are available. International customers please contact your local dealer for warranty and return instructions.